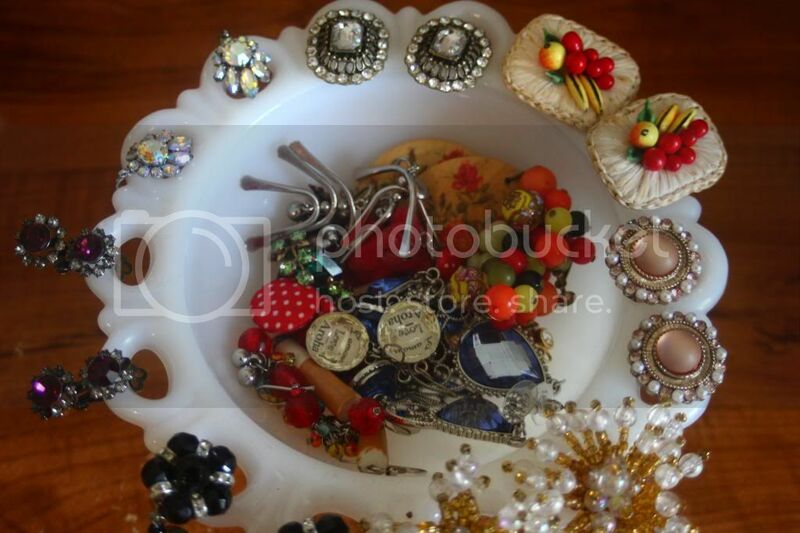 Spoonful of Vintage: Vintage and recycled organisation for jewellery and other pretties! 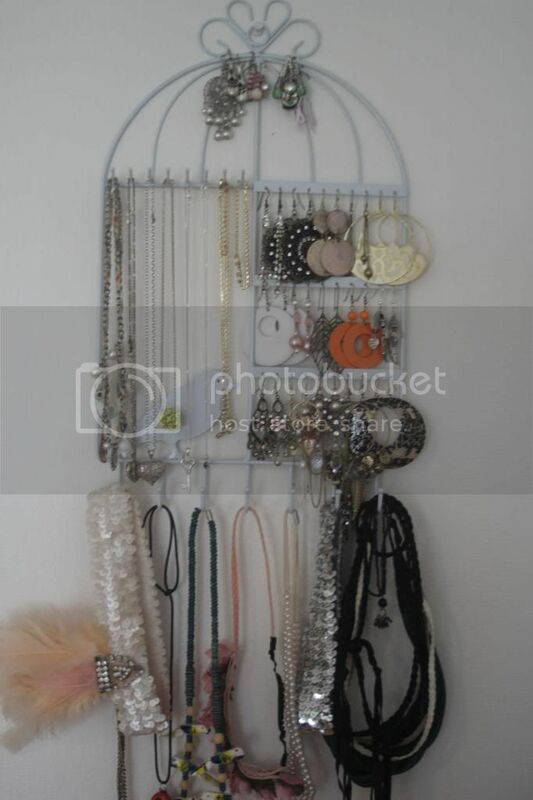 Vintage and recycled organisation for jewellery and other pretties! So lately my Jewellery and accessory collection has been overflowing, and I really needed to do something about it cluttering up my dressers!Here's a few tips to get you started too if you're feeling a little like me! A necklace tree which was tall enough to hold my long necklaces was hard to find, but I found this at a vintage market for cheap as chips! If you need more length, position it so it is overhanging over the edge of your dresser, just be aware how tantalising this may be to cats. 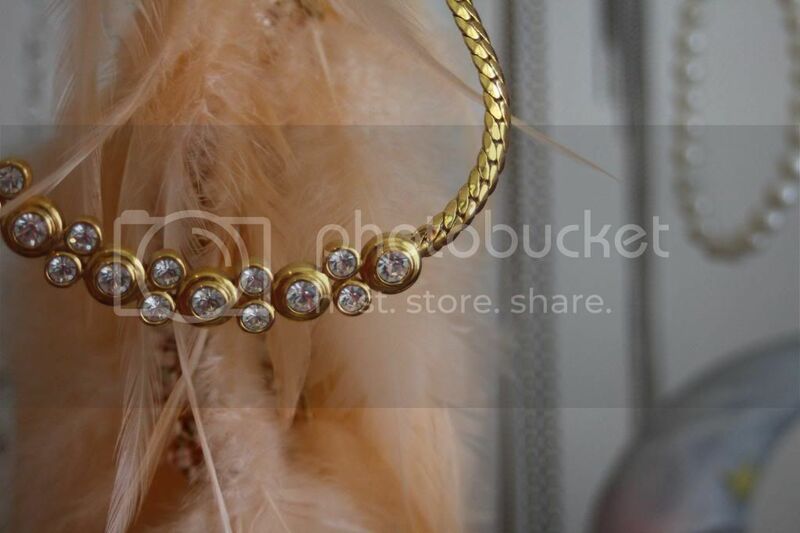 It's important to not double up your necklaces per "branch", because trust me- they get tangled...If your at the point of needing to double up, you need to cull some jewellery, or invest in another necklace stand!... 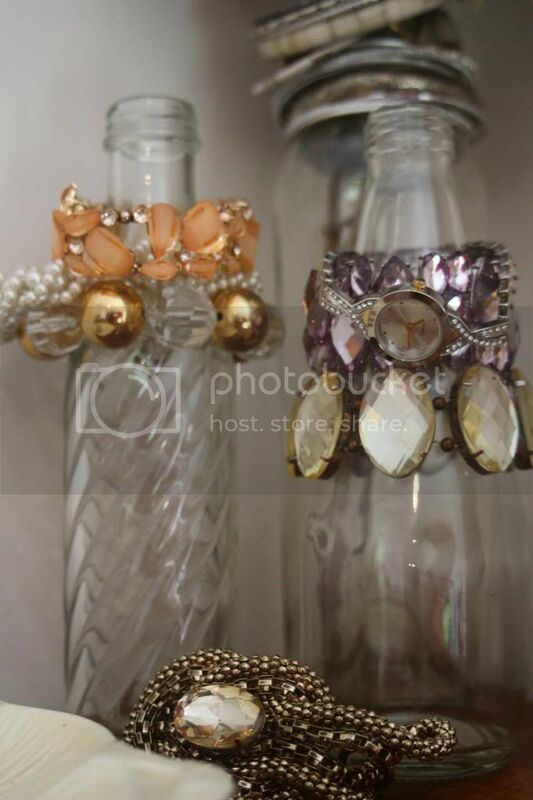 It's great to recycle old bottles and turn them into pretty bracelet holders! 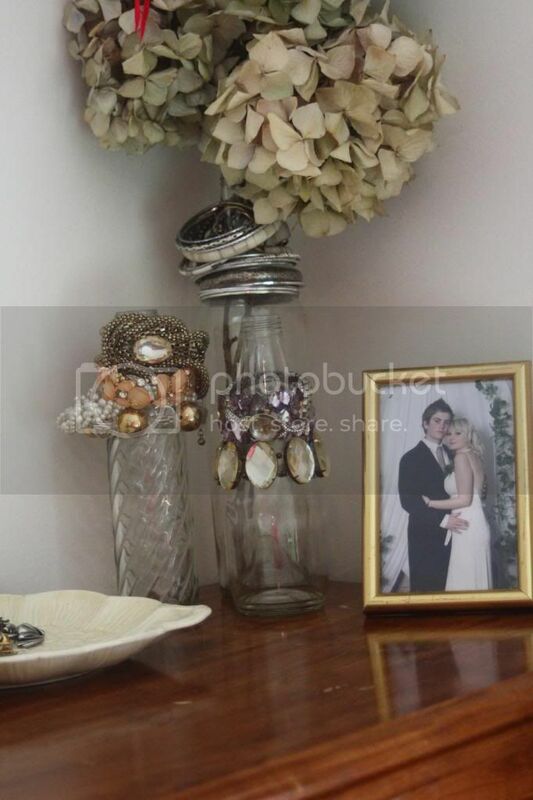 even better, they can double as vases. I like to layer them in different heights and use different glass textures to add some difference. On a single dresser or table, I try to match the colours of whatever items I'm using to display my jewellery...and because the pattern on the plate is so pretty, I chose to display only a few brooches on it, to let the pattern show through, and help tie the colours of the stands together. 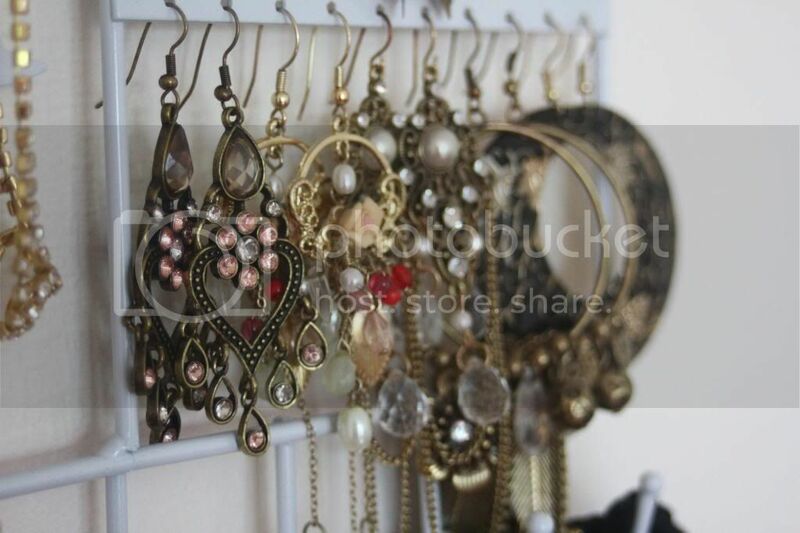 This jewellery stand was the perfect purchase for my smaller necklaces, dangley earrings, and hippie headbands. It's freed up a lot of space on the dresser! 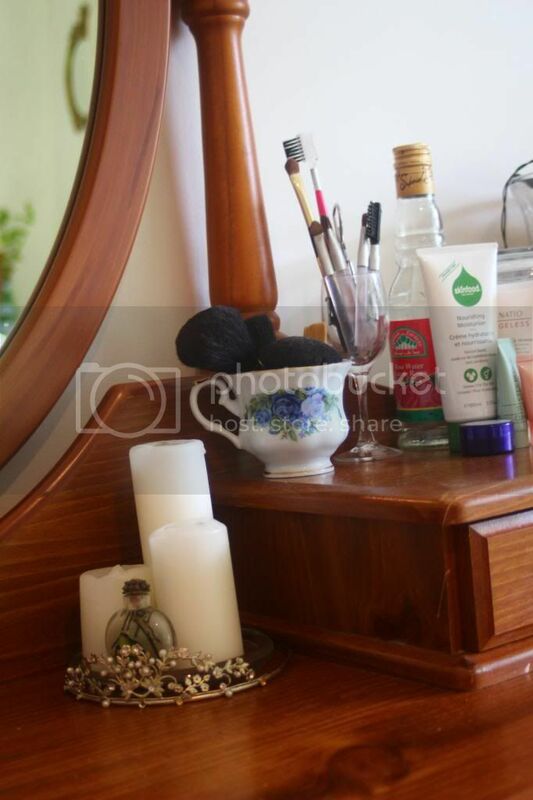 I keep most of my beauty products tucked away in drawers, but my daily necessities have earned a spot on the dresser! I like to keep my makeup brushes and tools stored out in the air so they can stay dry and bacteria free. 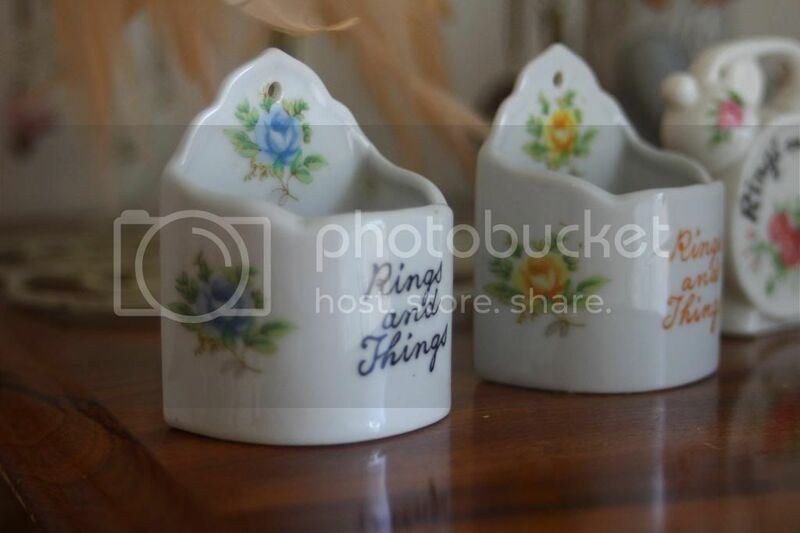 teacups and retro cups of all kind are the perfect holders! 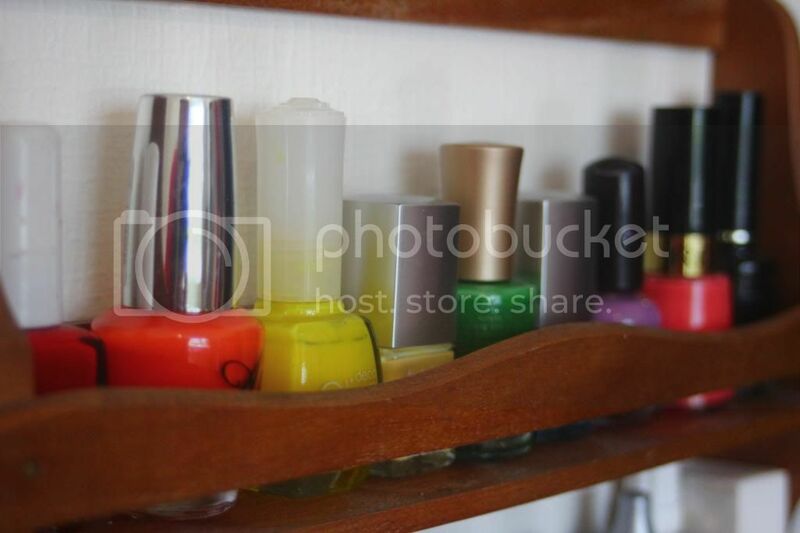 Yes, that is a spice rack holding my nail polish! I found like for $1 at an op shop, filled with gorgeous little glass spice bottles (Which are being prepped for another project, so watch this space!) I'd like to paint it white, to match the rest of my jewellery stands. I'm terribly slack at actually putting my nail polish on, because I can't handle the drying time, but this way when I have to look at them every day, it forces me to get use out of them! 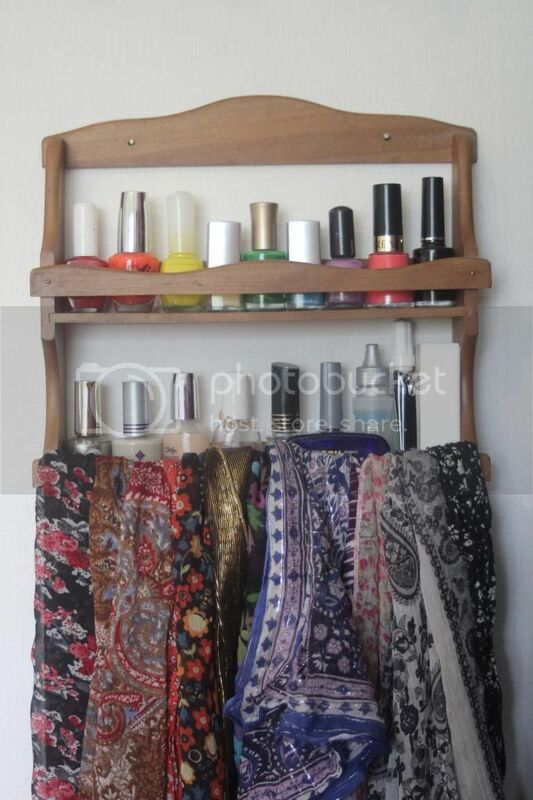 The little rail at the front also doubles as the perfect place to hang my scarf from!, which are also every colour of the rainbow. I have quite the collection of vintage clip on earrings, which belonged to my Grandma, which I treasure! 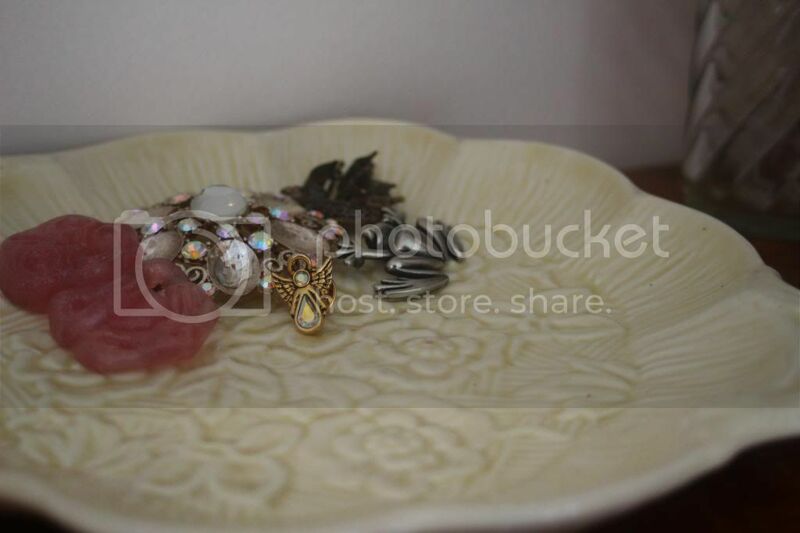 This old candy bowl was perfectly suited to being able to clip the earrings into the little holes. I find it easiest to keep one particular type of jewellery in one place, so its easy to find what your looking for! 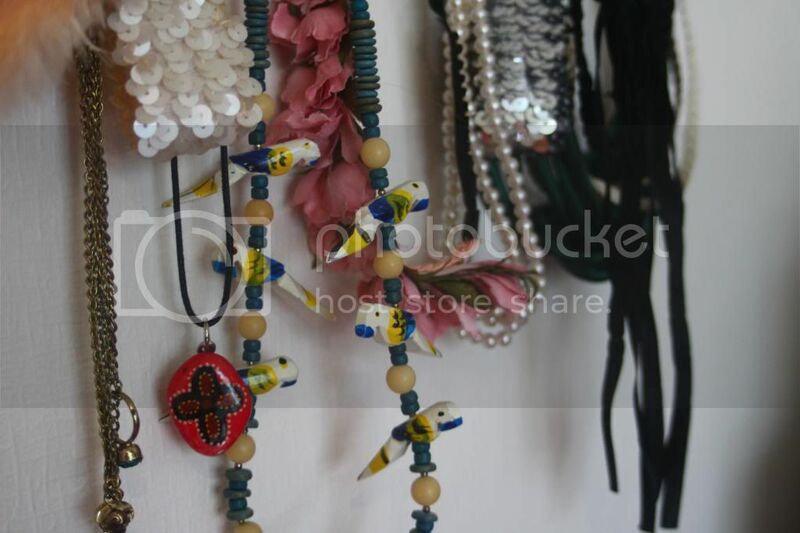 So you'll see there are lots of creative ways to organise and display your beautiful adornments, and the creative possibilities are endless! 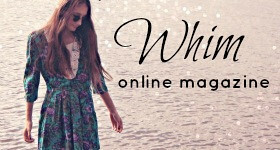 I'm always seeing great DIY or re purpose ideas popping up on pinterest for storing jewellery, and when I get around to some of those projects, I'll be sure to show you! 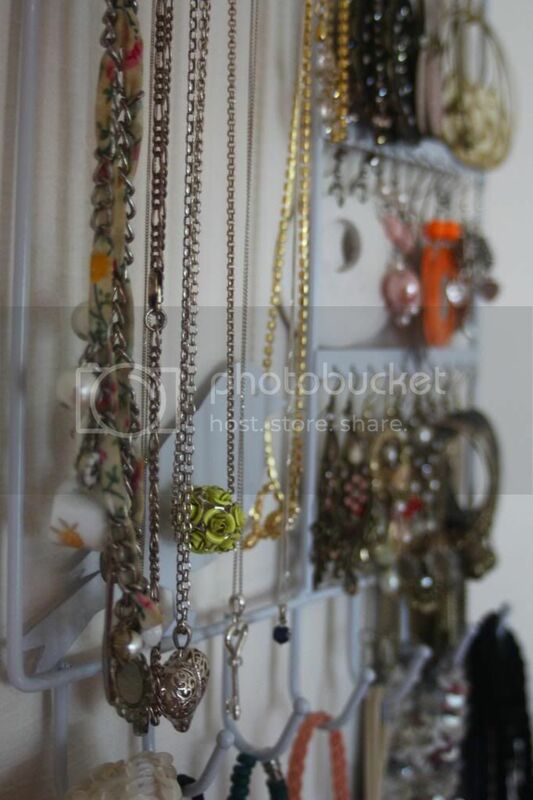 Do you have any creative ways that you like to store your jewellery and accessories? Oh some great ideas! I'm especially loving the old bottles as bracelet holders. I have this terrible addiction to collecting old glass bottles, so now I know what I'm going to do with them! Beautiful place, great ideas. Is that a prom picture on your dresser? Haha, too cute. Thanks Summer! Haha it sure is from about 4 years ago in out last year of high school! 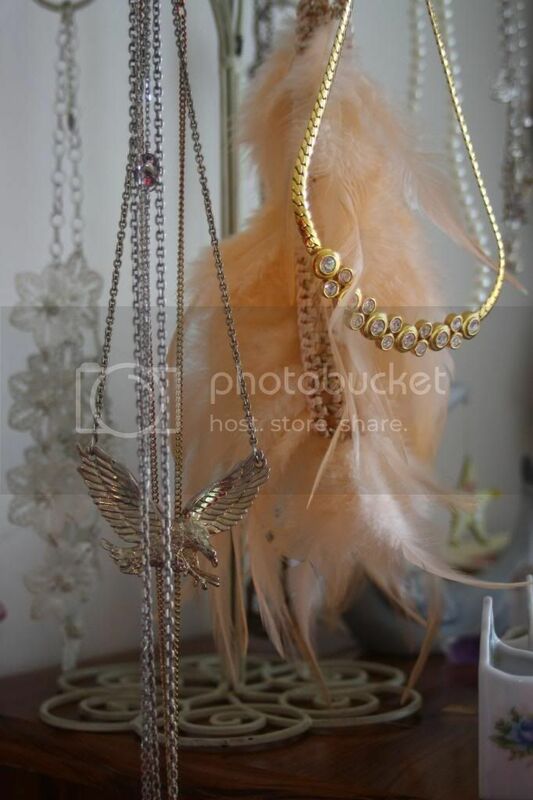 beautiful collection of vintage jewels lovely :) I have that wooden birdie necklace too!! Aw how neat! 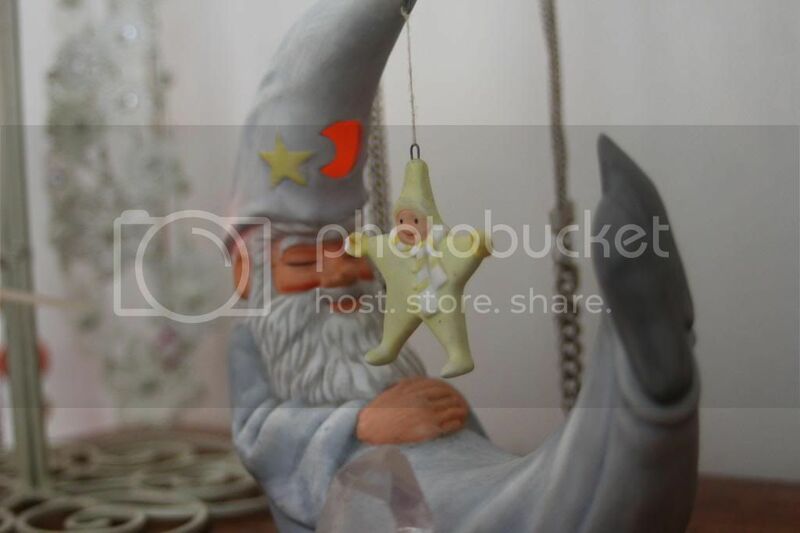 my Nany gave one to each of her grandaughters a few Chritmas's ago in a different colour each, so its super special to me! I think she might have gotten them in Hawaii in the 80's? Where did you find yours? I love your nail polish collection in the spice rack. Such a wonderful idea! 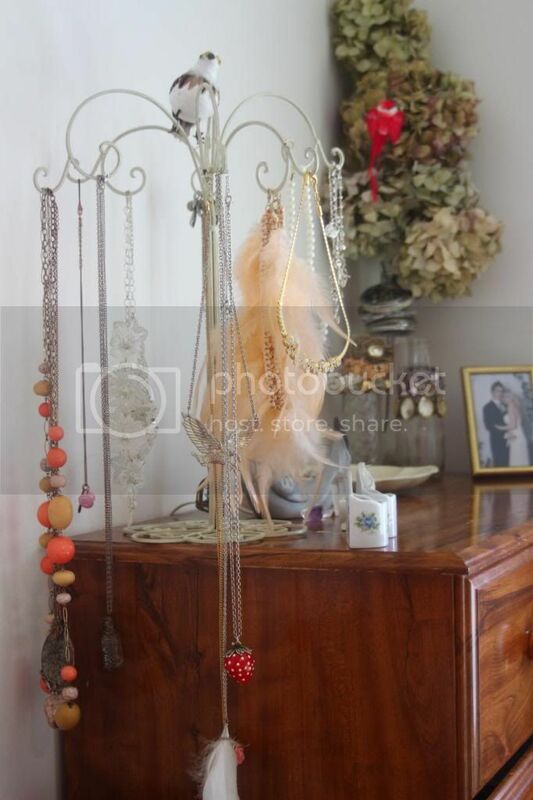 I currently keep my jewellery on a three tier cake stand my grandmother gave me when I was a little girl. I rarely bake cakes so it was gathering dust in a cupboard. Now I get to see it and I keep bracelets on the bottom level, necklaces on the mid tier and rings and earrings on the top. 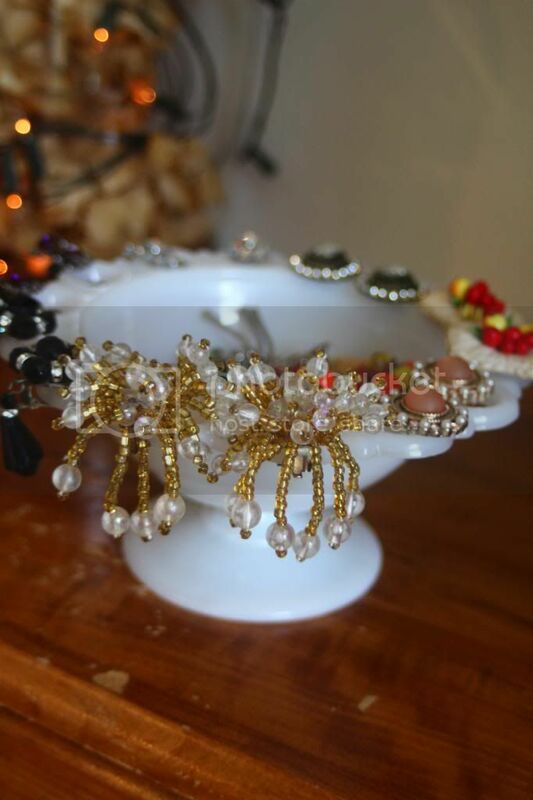 I've always thought a cake stand would make a fantastic jewellery storage solution! I bet its beautiful!! Come the holidays, there are plenty of occasions to put on your favorite party dress. But there is only one chance to get creative, crafty, and, well, creepy: the ugly-sweater Christmas party.From pop-culture-influenced DIYs to over-the-top knits, christian louboutin store it turns out partygoers take the season's most ridiculous clothing very seriously. jimmy choo shoes So whether or not you've got an ugly-sweater party coming up on valentino shoes the calendar, you'll want to read on to see a few seriously christian louboutin epic creations from across the Internet. No joke, these 27 sweaters will christian louboutin creep you out and crack you up while offering some major holiday valentino boots inspiration. My experience is a lot of colleges like to advertise that they accept these credits as well as credit for life experience portfolios but they really do not like accepting them and make it a little difficult for example when the tests are available, lengthy processes etc. which is really a immature share of the difficulties most people unrecorded with sect now, but but making improved lives for group that's direction on feat them much , getting them punter aid and making certain their kids get enlightened.